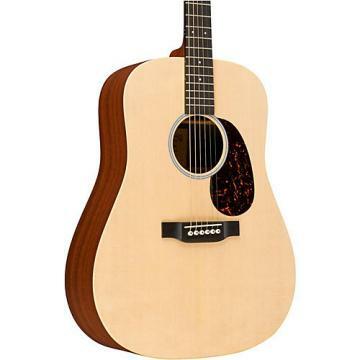 The Retro Series HD-28E Dreadnought Acoustic-Electric Guitar is a modern re-creation of the classic herringbone Dreadnought. Channeling legends like Hank Williams, this guitar carries a distinct prestige that can only come from the Retro Series collection. C. F. Martin & Co. is inviting musicians to take a trip back in time with the introduction of a groundbreaking guitar technology available in the new four-piece Retro Series: D-18E, D-45E, HD-28E and OM-28E. 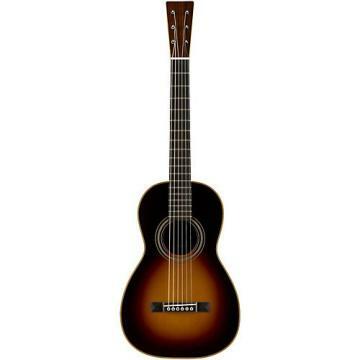 Paying homage stylistically and sonically to the iconic classic Martin guitars of the 1930s and '40s, this series features traditional non-cutaway Martin guitars incorporating significant advancements in plugged-in sound reproduction. The series exquisitely captures a sought-after sound, melding traditional models with state-of-the-art technology, and will appeal to musicians and guitar aficionados alike. Martin designers dove back into the rich history residing in the Martin museum and chose world-class examples to use as "tone donors." These guitars include a 1942 D-45, a 1941 D-28, a 1937 D-18 and a 1934 000-28 (long-scale) on loan from Vintage Instruments. Each of these guitars possesses unique tonal characteristics that can be attributed to the passing of time. The premise was to convince the new guitars into electronically behaving as if they were the museum guitars. Developing the new Retro Series electronic foundation, Fishman electronically infused the essence of the museum instruments into the newly created Martin counterparts, a new technology for both companies. To build upon this "vintage-conditioned" sound, Martin Guitar teamed up with Fishman and Grammy Award-winning producer Bill VornDick at his historic Mountainside Studios in Nashville for a multi-step process. They utilized VornDick's private collection of rare vintage and boutique microphones, many of which date back to the '30s and are iconic recording industry microphones. This collection adds unique coloring to the plugged-in sound, reminiscent of the first microphones these museum guitars would have ever encountered in the professional recording studio. The Retro series instruments are vintage in appearance but will have enhanced playability including a modern "High Performance Neck" taper and modified low oval profile. They will all have the new Fishman F1 Aura + electronics system featuring "Easy Mode" with three pre-blended mic/pickup presets and all of the programmability and tweakability of the original F1 Aura in "Performance Mode. " Great for studio or live, this series reproduces the pristine sound that until now could only be accomplished in a highly-controlled studio setting with talented engineers. VornDick said it best after hearing the finished product, "The plugged-in sound of these instruments is by far, the best reproduced acoustic sound I've ever heard." Includes case. Experience the vibe and exceptional electric sound of this special guitar. Order today. I like the sound when plugged in. However it is a Martin HD28 so it sounds great unplugged. The neck is very easy to play. I love it. .This guitar plays and sounds absolutely great. It has a beautiful tone with both nice highs and warm ringing lows. Fit and finish are beautiful. The staff at Custom Guitars Friend was very helpful and knowledgeable and went out of their way to make the buying experience the absolute best. I couldn't be happier. .This guitar is awesome. Fantastic playability, with a great action an incredibe neck, super comfortable to play for hours, you won't notice that the guitar uses med gauge strings, feels like xtra light. Woods are stunning, super nice grain rosewood and spruce along with the superior workmanship of Martin. The guitar is what you would expect from an hd28, has a huge big tone, a voice of its own, it cuts through the mix naturally, perfectly balanced tone with great sustain. Some people in the internet complain about the forward shifting? Don't know what they are talking about. The voice of this guitar is one of a kind. ELECTRONICS are awsome in this guitar, sounds really acoustic, maybe mic for recording is close to perfect but that's not real life. Mine sounds incredible real acoustic plugged to a Fender Acoustasonic 150 FSR solid Mahagony with monster acoustic cable. GREAT service from MF private reserve, Derek White picked out the best one for me, thanks muuuch! If you find a hd28e retro get it, you won't have any regrets. .I love mine. If stolen or damaged would replace in a heartbeat with another. Deep rich tone. This is the best or the best. It is a keeper for life. Would never sell or trade this away. .I play bluegrass and also play on a church worship team. The guitar sounds great plugged into the sound system at church. I play a lot "unplugged " and I love the sound. The neck design makes it easy to play. This is my first Martin. Don't know why I waited so long. I highly recommend it. Also, Derek was a incredible help when choosing this guitar. They had 4 and I wanted to make sure I got the right one for me. .I bought my first Martin, a D-28, in October 1964, and it has served me well over many years of semi-pro use. Recently, due to my fingers beginning to become arthritic, and considering no longer using a microphone for live sound production, I began looking at an alternative to the D-28, which I still love. (I have kept medium strings on the D-28, and avoided tampering with the wood by having a pickup installed.) I also am mostly into fingerpicking and playing solo gigs, so wanted a smaller-body guitar more suited to those factors. I still intend to play my D-28 when jamming with other musicians, especially when banjos and fiddles are involved. 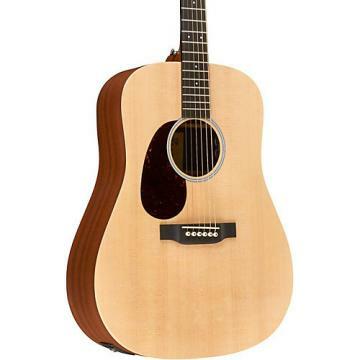 I live a distance from the nearest Martin dealer, so began looking on-line at the new Martin 000-17 series, and I was impressed. I also combed through websites looking at "vintage" smaller body guitars. In the course of reviewing YouTube comparison videos on the various models, the 000-18e Retro caught my eye/ear. Although more expensive than the 000-17 series, the features and tone I could detect on the 000-18e videos sold me on the guitar. I also felt that if Martin could capture the flavor of a vintage guitar, without my having to risk paying an exorbitant amount for an actual vintage model with possible unknown flaws or history, I should consider the new technology. 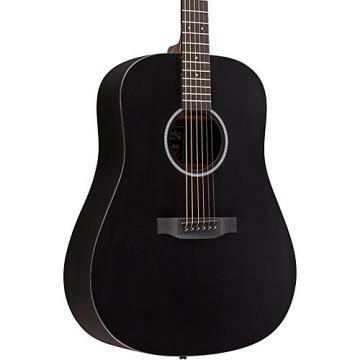 My main concern was buying a guitar that I could not touch and feel, nor compare side-by-side to similar models. I was also worried about damage in transit. I read several reviews by others who had similar fears, and whose expectations were exceeded once they took delivery. 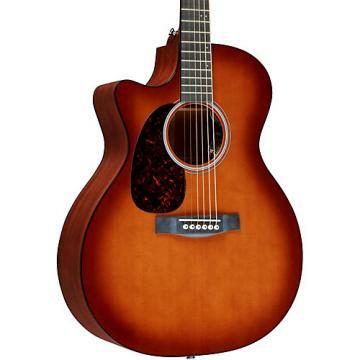 So, I "bit the bullet," and ordered the guitar on-line with Custom Guitar's Friend. I have only had the guitar for about a week, and I love it. I have played two gigs already, and my satisfaction keeps escalating as I become more familiar with its features and how to employ them in a live setting. In short, the guitar has met or exceeded my expectations.